The Gothic-Isabelline entry gate displays an ornamental framework worked into the stone, and the arms of king Enrique IV of Castile. A scene of masonry appears above the entry. If only for this it merits a visit. 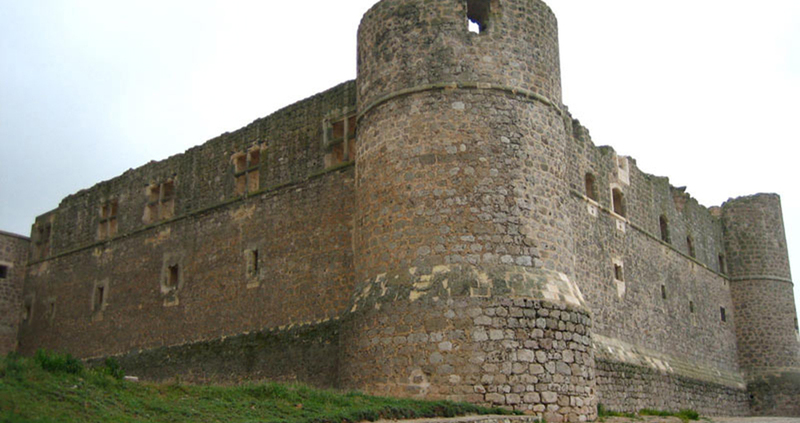 Round turrets reinforce the walled fortress, which has a square floor plan. They each have a brick dome at the top, and they employed casemates for storing the artillery. The gothic windows, in the form of a cross, on the Northeast side, are very interesting. Facades and circular towers present the decorative thread, carved in stone, characteristic of the castles of the 15th century. 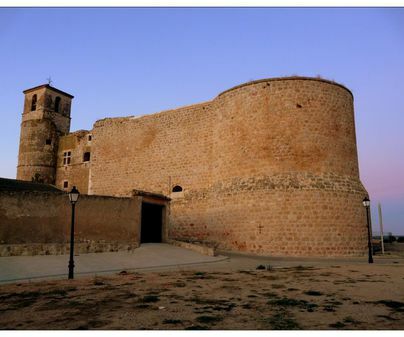 Its first owner was Garcimuñoz, a knight who accompanied king Alfonso VIII in his conquest of Cuenca in the 12th century. It passed into the hands of the prince Don Juan Manuel in the 14th century, and he made some reforms. 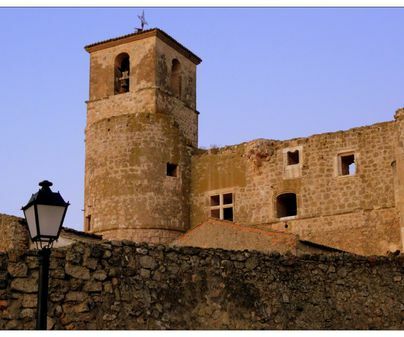 Later it went to Juan Pacheco, who outfitted a residential area in its interior during the 15th century. In the 18th century the church of Saint John the Baptist was constructed in its interior, and they also began to use it as a cemetery. To access the interior you can ask for the key by contacting the city hall, telephone 969 29 13 41.